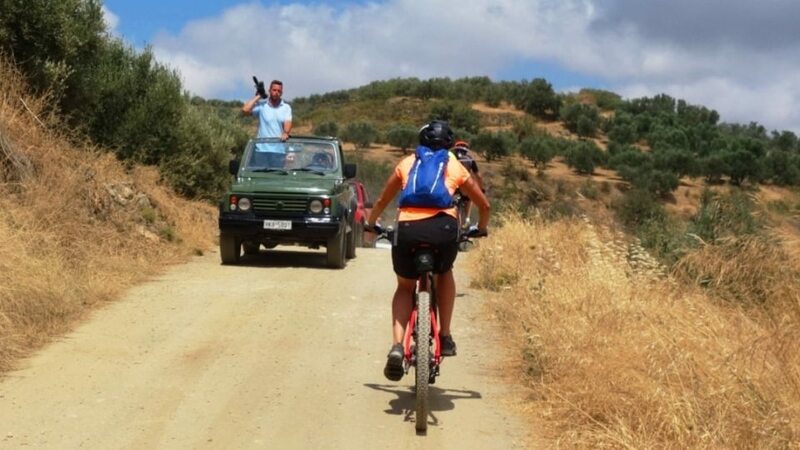 The first question to a cyclist from somebody who never rides a bike is “How many kilometers/miles is the longest bike tour you have done”. And he cyclists that want to show that is very good rider replays with kilometers or miles. The physical condition of a cyclist is not evaluated with the distance that can ride, but the total uphill. The higher the climb, the harder the tour, the steeper the slope, the stronger the pain. 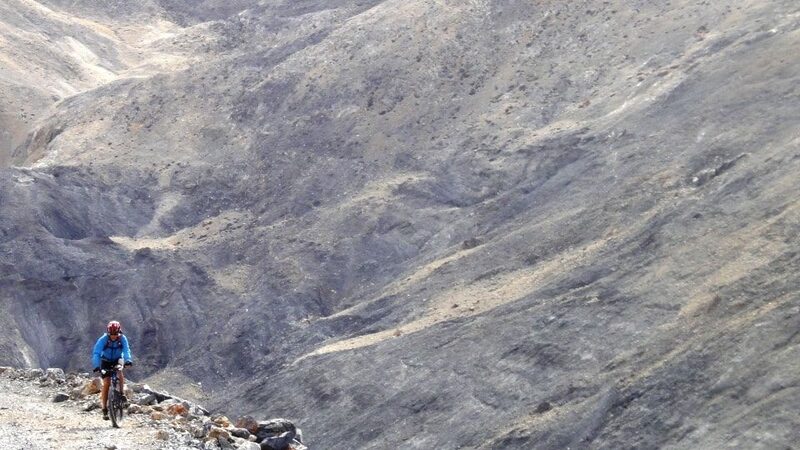 The climbers know that the exhausting effort, which many times exceeds the limits of their strength is nothing compared to the satisfaction of achieving the goal, the beautiful view from above and the downhill when returning back. 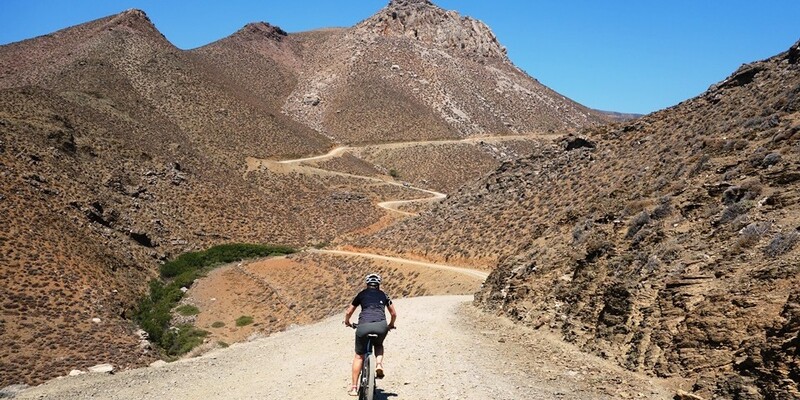 Crete with mountains that exceed the 2400 meters and the fury of the Cretans to make roads everywhere, offers numerous great and exhausting climbs. Get ready physically and mentally, check your bike, put on your helmet and test your limits. And do not overestimate your strength, the vultures that fly above your head are waiting to benefit from your mistakes. 3. 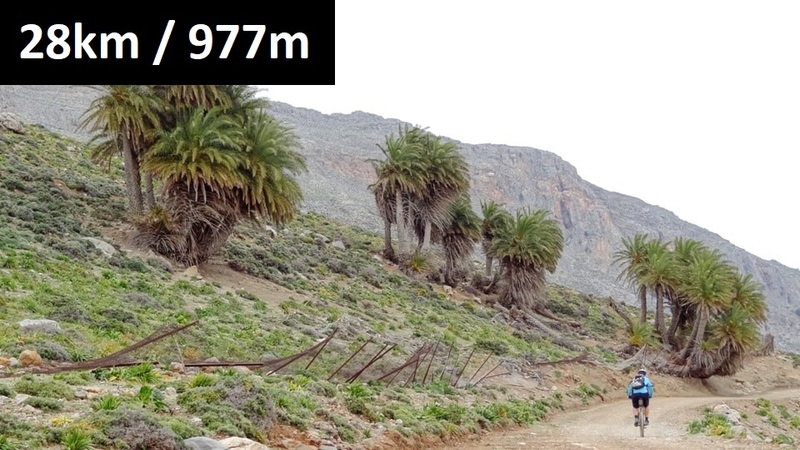 At least 1000 meters of vertical height difference between the lowest to the highest point. 4. Less than 1000 meters asphalt road. 5. Less than 250 meters total downhill. Attention: after every ascent you must return back to the starting point. 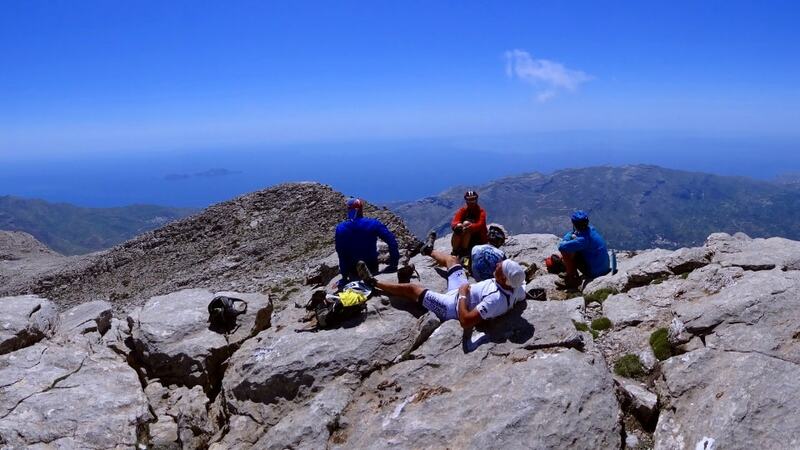 No matter how exciting and fast is the descent you must be focused on the trail and do not exceed your limits. Accidents happen at the easy part of the route, when you return back and you are tired. Tip: in most ascents there is no fountain to refill your bottles with water and the soil is very rocky and hard. It helps to have a light weight bike but not be stingy with water. Never dare ascents in such remote places without tools, pump, tubes, and your mobile. 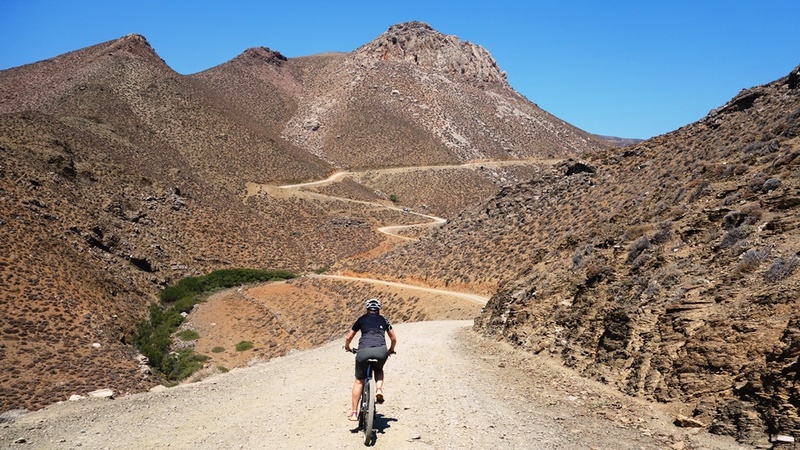 Just to mention that the greatest mountain bike climb in Crete starts from Phoenix of Sfakia (sea level) and ends at Pachnes at the White mountains, 2005 meters of altitude. We do not list it because it is more that 1000 meters of asphalt road.